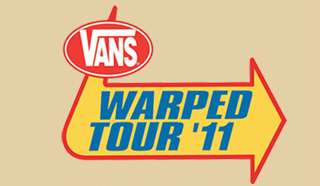 The 2011 Warped Tour has just made their official announcement of tour dates and released the first bands. The tour will kick off on June 24th in Dallas, TX and close out on August 14th in Hillsboro, OR. This is obviously just the beginning of a killer lineup of bands. So stay tuned for the growing list and check out the dates below to find one near you! Get your tickets now! Great stocking stuffers!